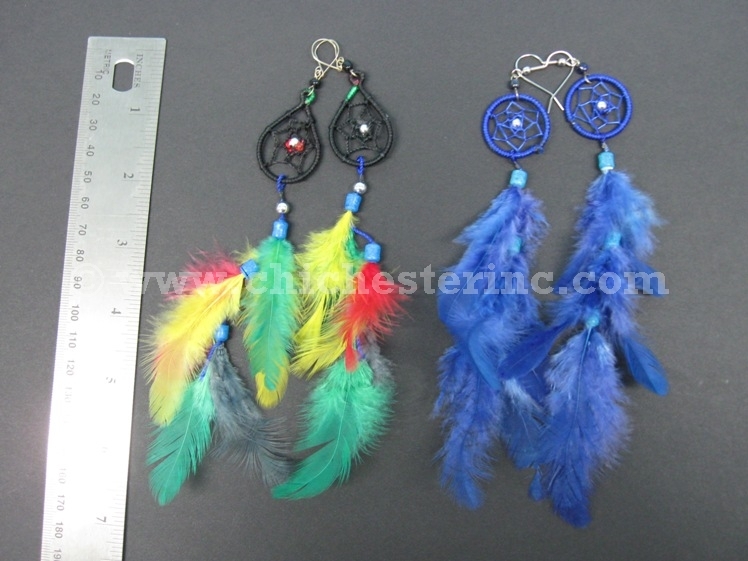 Right: Large Dreamcatcher Earrings. See a picture with a ruler. 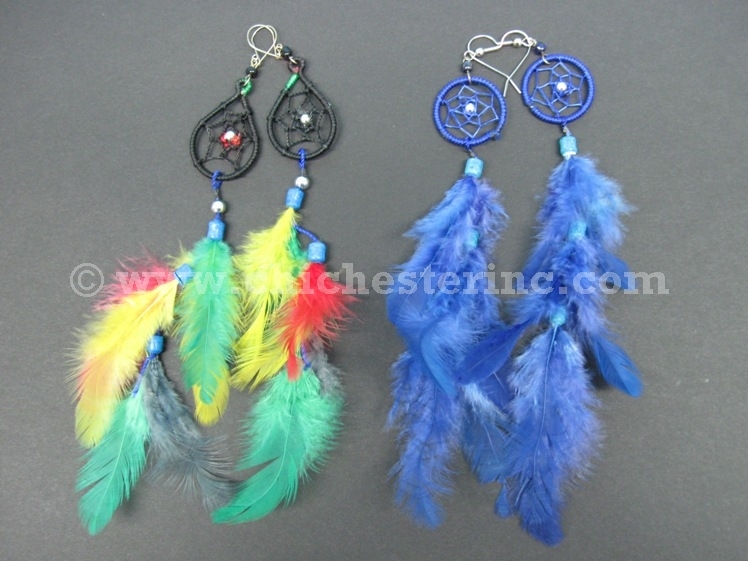 These dreamcatcher earrings are handmade by the Inka of Peru. They come in assorted styles and colors with feathers and/or beads. The small dreamcatcher earrings have round or teardrop shaped rings. The round rings are 0.5" to 7/8" in diameter and the earrings are 3" to 3.5" in length overall. The teardrop rings are 1.25" long by 0.75" wide and the earrings are 3.5" long overall. Two pairs of earrings weigh about 0.1 oz. 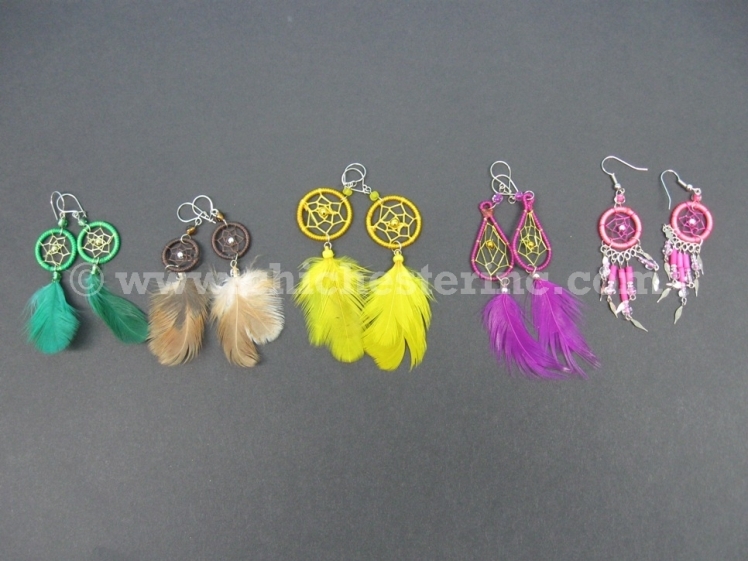 The large dreamcatcher earrings have round and teardrop shaped rings. The round and teardrop rings are 0.75" to 1" in diameter and the earrings are 6" long.